Networking and the Web have become the underpinnings for much of our economy. 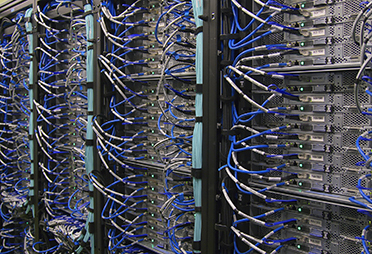 The degree offerings within the Network Technology program provide a quality education that develops skills necessary to design, develop and support computer networks. The program emphasizes current and emerging network technologies, preparing students for a wide variety of industry recognized certification exams. Our Bachelor of Science degree (four year program) in Network Technology prepares a student for a variety of Information Technology careers. Some coursework prepares for the student for the CCNA (Cisco Certified Networking Associate) certification exam, while other courses provide a variety of skills needed for the CompTIA A+ exam, Network+, and Linux+ exams. Microsoft Server competencies are explored in great detail. Additional general education requirements, along with computing and associated networking technology coursework, expands the student’s background to prepare them for additional opportunities and careers in the computer/networking field. Our Associate of Applied Science degree (two year program) in Network Technology prepares a student for a variety of Information Technology careers. Some coursework prepares for the student for the CCNA (Cisco Certified Networking Associate) certification exam, while other courses provide a variety of skills needed for the CompTIA A+ exam, Network+, and Linux+ exams. Microsoft Server competencies are explored in great detail. Additional general education requirements, along with computing and associated networking technology coursework, expands the student’s background to prepare them for additional opportunities and careers in the computer/networking field. Students completing the AAS Network Technology degree may earn the Bachelor’s degree by completing an additional two years in the BS Network Technology Program. Web Development and Administration, A.A.S. 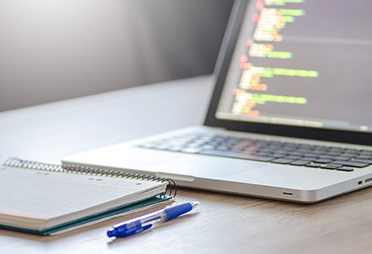 Our Associate of Applied Science degree (two year program) in Web Development and Administration will prepare students to utilize current and emerging web development tools. This degree will prepare technicians who are knowledgeable in computer support, network support, and be able to create and manage an organization’s web presence. The degree is unique in that it has a major focus in the organization and management aspects of web sites as well as web page creation. This degree can be completed in two years and graduates will work developing a new web presence or manage and administer previously designed sites. Experience extensive hands-on activities in our physical and virtual state-of-the-art labs with hands-on assignments in every course. Seamless articulation of Cisco Network Academy coursework. Possible exit after two years with the AAS Network Technology degree. The first two years are taught through Highlands College, allowing students to pay lower tuition.